When do I need to create a company? 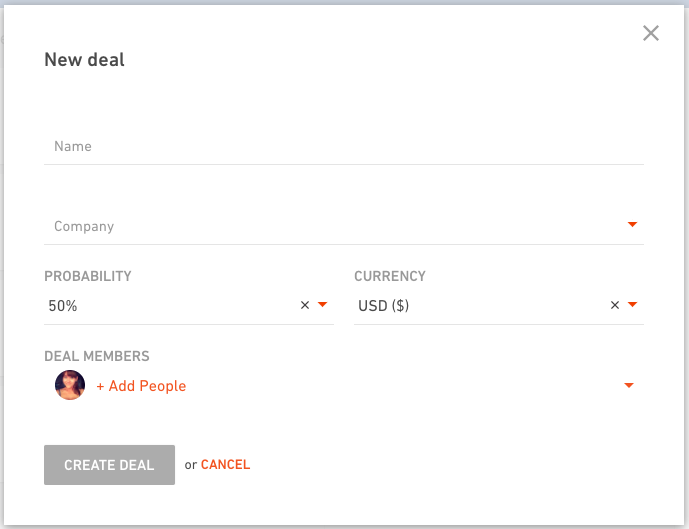 Usually, the very first time you'll need to add a company is when you create a deal for a new client. 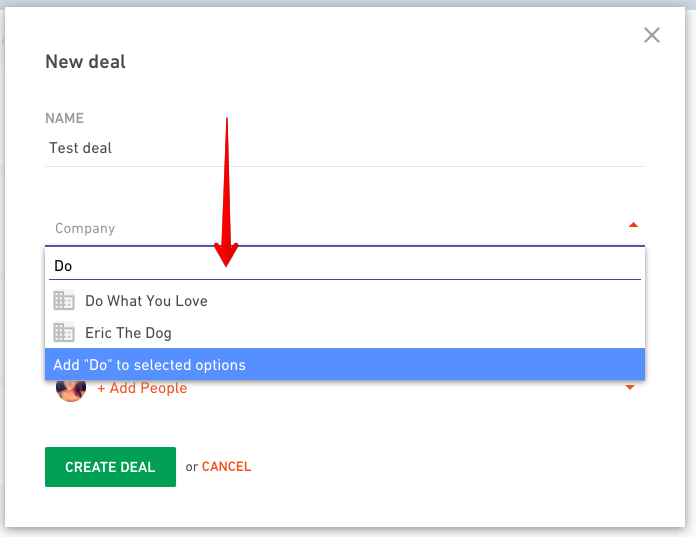 You need to put down the name of the deal and a company you're negotiating this deal with. This company is your potential client. Start typing the name in the company field. If it already exists you can choose it from the list. If it doesn't exist you can add it to the list and deal with additional details later (like adding an avatar for example). Companies are located in your Contacts tab in the main navigation. 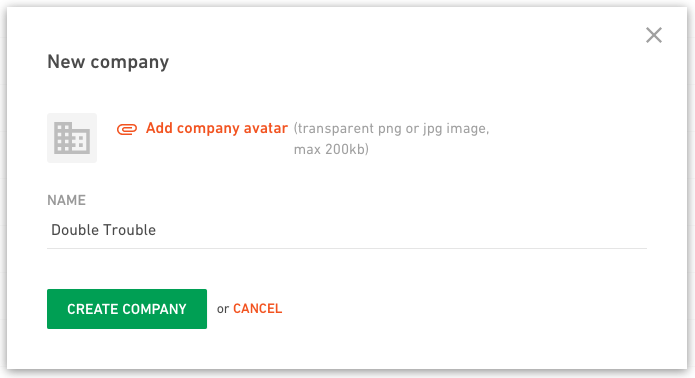 To add a new company click on the "+" button, put down the name and upload a company logo. Having logos for all your clients makes it easier to quickly spot a particular client throughout the Productive. It's the same as with people's avatars. How can I find and edit a company? 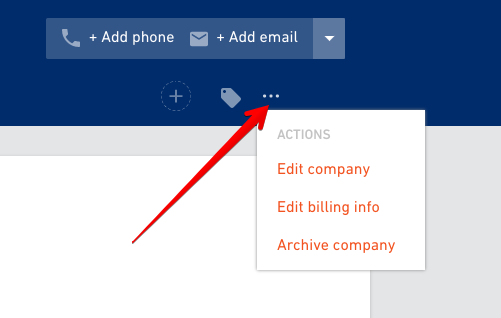 Go to Contacts in the main navigation and switch to Companies tab. This is where you'll find all the companies listed in alphabetical order. Or, you can start typing the name of the company in the search and it will show up in the search results. Select a company (either in the list of the companies or in the search results) and a page with all the company details will show up. Depending on the role you have, what you see about the company will be limited. 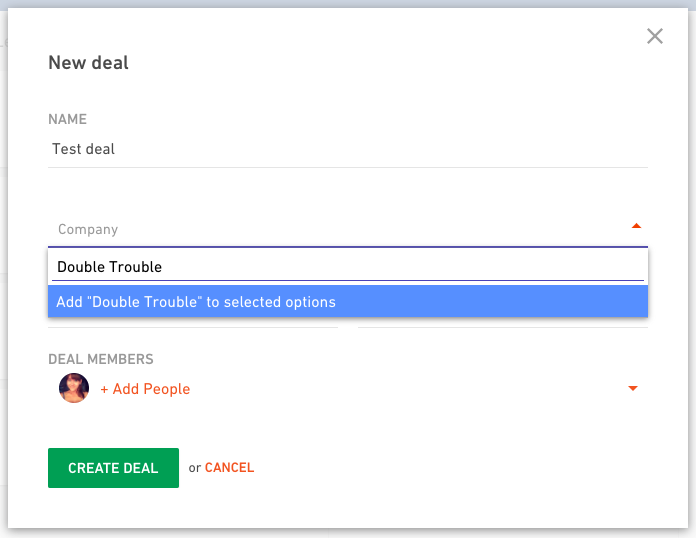 This screenshot above is what an Admin and a Manager can see. Basic Staff role, Client or a Contractor won't even have a Contacts tab in the main navigation. ... and won't be able to create new projects or add people. It will be able to add an avatar, add contact details like e-mail, phone, define price lists and make notes. Where can I add contact details, change avatar, rename the company, etc? 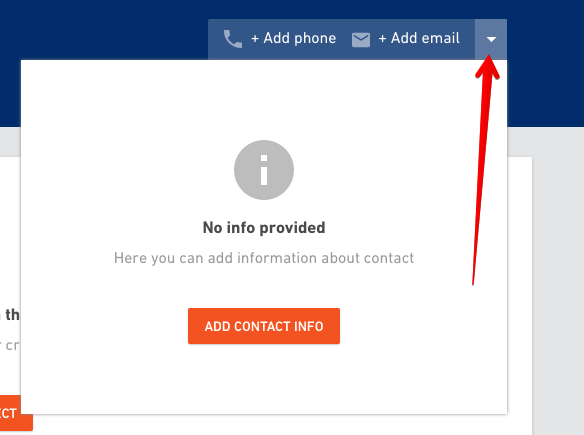 To add contact information, open the contact form and click on the Add contact info button. 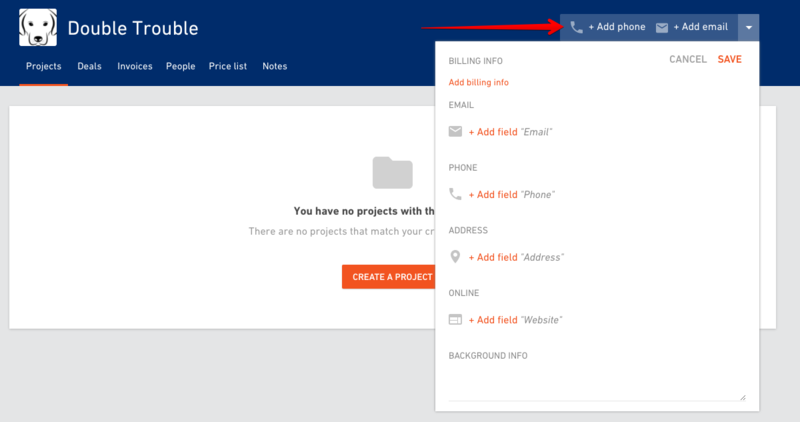 This will open up a form to add and save all the contact information. 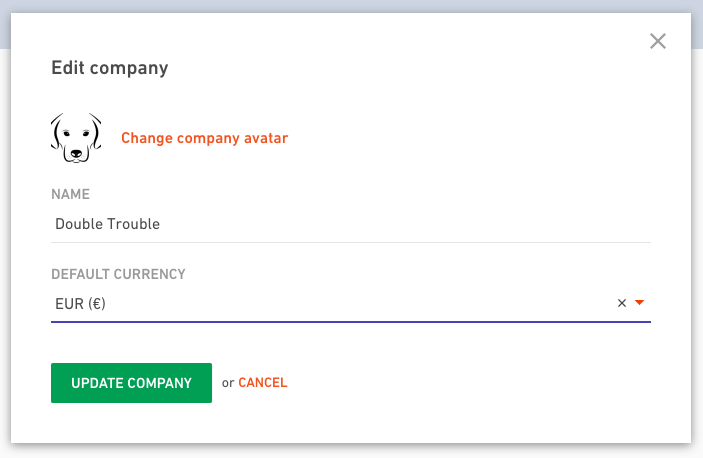 If you want to change the name of the company or add an avatar, open the menu and select Edit company option. 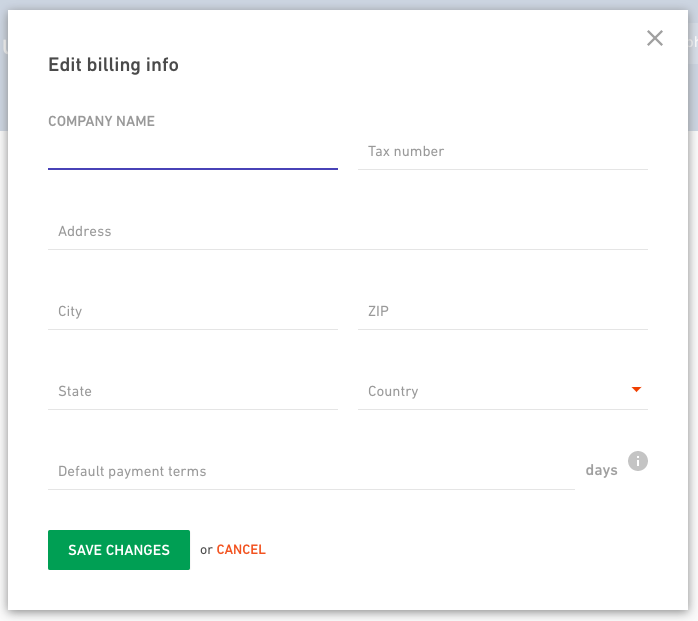 To add billing details, select Edit billing info from the menu and fill out the form with details you'll need for invoicing. Don't worry if you don't add billing info immediately. Once you get to the invoicing part for this client, Productive will remind you to fill out billing details otherwise you won't be able to create an invoice.